Which hub do I send my application to? 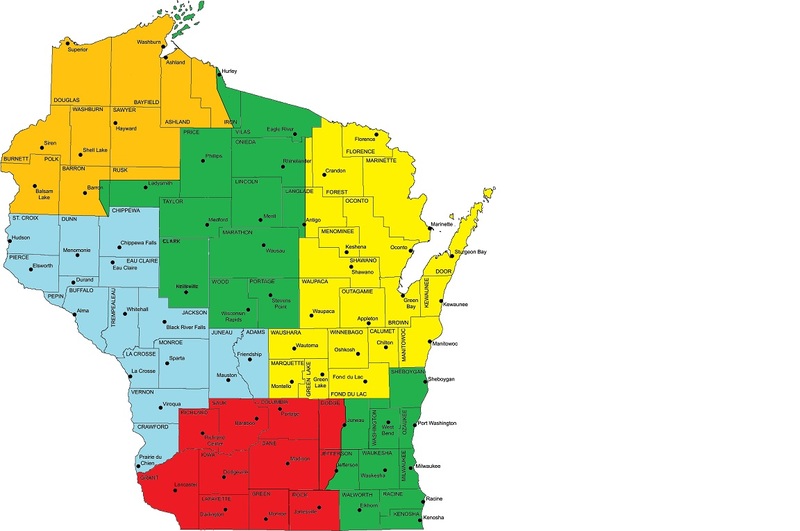 To the right is a map of Wisconsin divided by county. Please send your application to the hub that serves your county best. If this hub does not work for you, all Wisconsin hubs will work together to find the best fit for you. Listed below are the hubs serving Wisconsin and the Upper Peninsula. Orange is Honor Flight Northland flying out of Duluth. Yellow is Old Glory Honor Flight flying out of Appleton. Blue is Freedom Honor Flight flying out of LaCrosse. Red is Badger Honor Flight flying out of Madison. Lower Green is Stars & Stripes Honor Flight flying out of Milwaukee. If your organization would like an Honor Flight presentation, please contact any one of our Board Members!